What guides us in our operations? Always the most modern and effective solutions. We continue to develop and implement new solutions, which has made us the leading provider for the automotive, pharmaceutical and construction industries. Our most important goal is to provide our clients with reliable, world-class products. Product reliability and durability is not all. We are equally involved in the responsible management of natural resources and we implement solutions which limit the generation of industrial waste and energy consumption. We do this so that future generations may enjoy our products as live and work in a clean environment. It is important for us to forge good relationships with our suppliers and recipients, which we nurture and strive to fully understand our partners in order to effectively react to the changing needs and rapidly evolving markets. We are driven by passion. Enterprise with Multi-stage Distribution Network dealing with the sale of V-belts, gaskets, goods used in agriculture. As Stomil Agro - specialist in the sale of tractors, loading machines and agricultural machinery. 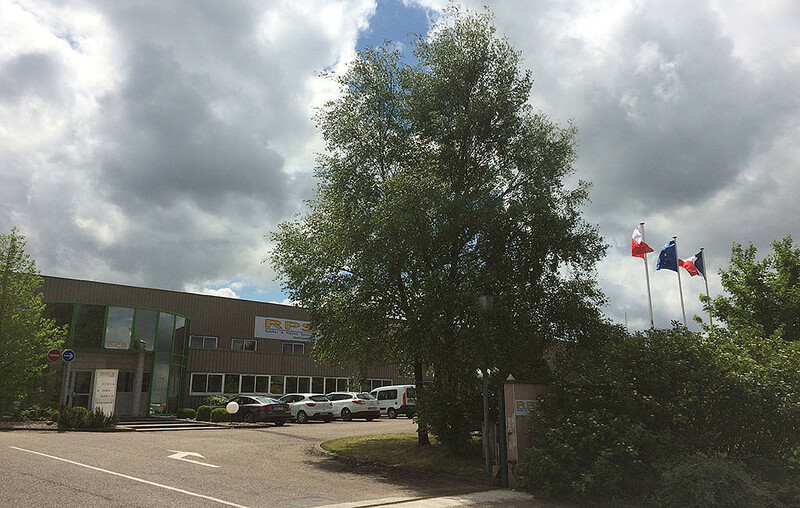 It has branches in Bielsko Biała, Dębica, Piekoszów near Kielce, Olsztynek that deals with sales of consumable goods, whilst agricultural machinery it sales in Ciechanów, Sanok, Wilków and Ząbkowice Śląskie. Stomet Sp. z o.o. 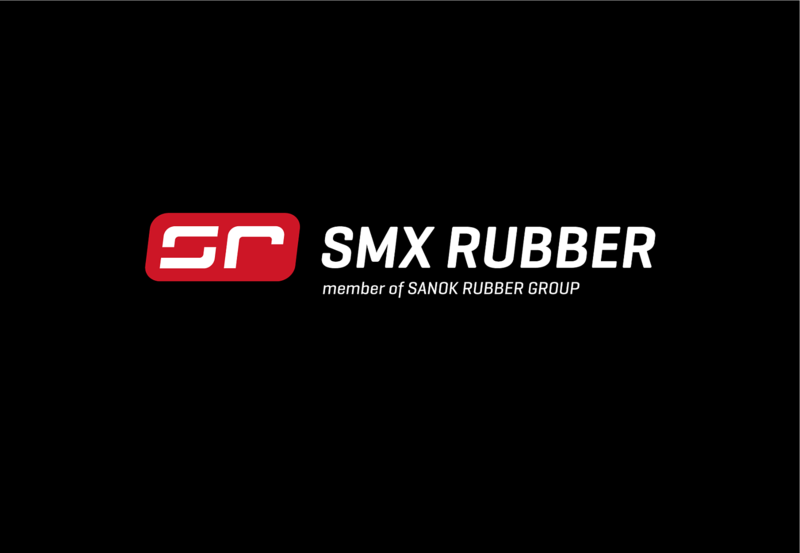 was established in 1992 as a combination of Stomil Sanok S.A (present Sanok Rubber Company) tool shop and repair department. 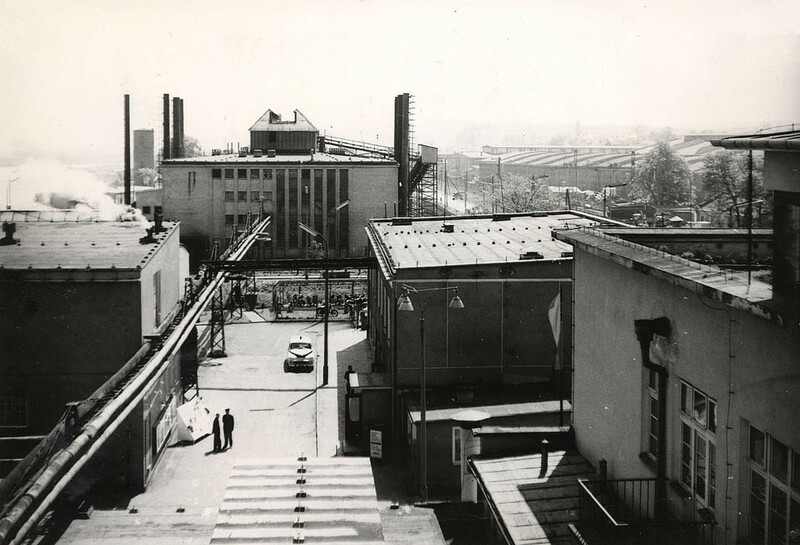 The tradition of manufacturing of moulds, tools and equipment for the production of rubber goods goes back to Central Industrial Region, where, in 1932, Polska Spółka dla Przemysłu Gumowego S.A. started trading under the name of SANOK. Over the years many moulds and pieces of unique production equipment have been designed and manufactured. 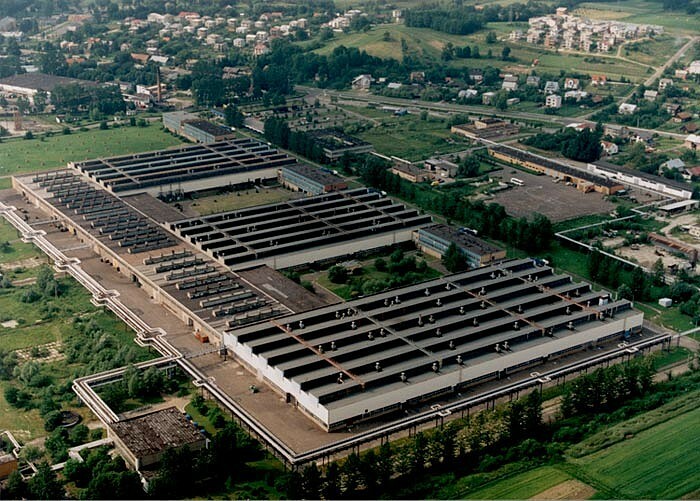 Within the systematic development STOMET expanded its business with a serial production of metal parts for the automotive industry. 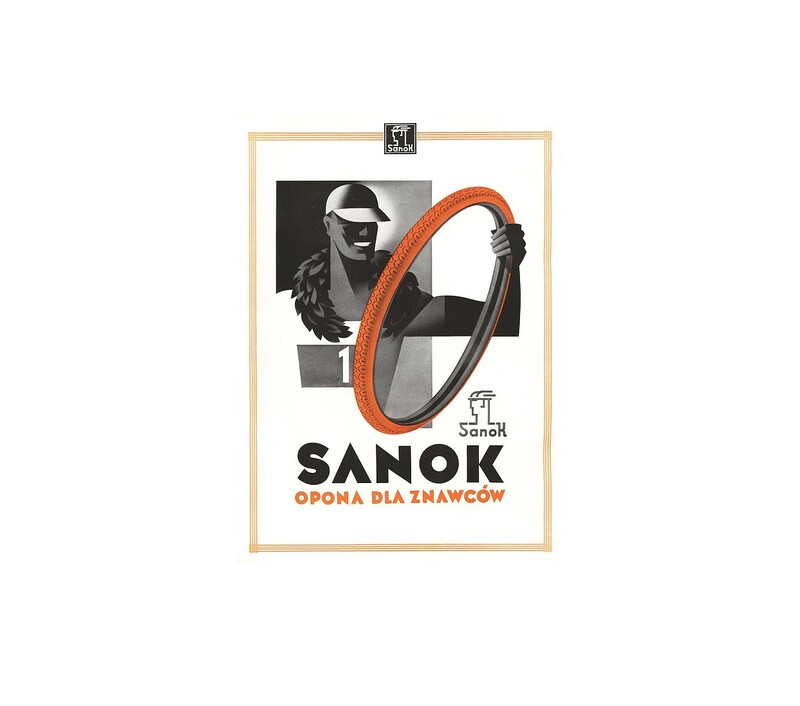 All products are supplied to Sanok Rubber Company and other companies, as well. PST "Stomil" Sp. z o.o. PST "Stomil” is reliable with long-lasting experience institution focused on rehabilitation, leisure and wellness. Their both facilities are located in the well-developed Health Resorts Rymanów Zdrój and Iwonicz Zdrój, in one of the purest and the fastest growing region of Poland. The place is known for its natural healing waters and air rich in iodine. The company specializes in 10 medical profiles and offer over than 70 types of medical treatments e. g. electrotherapy, magnetotherapy, ultrasound therapy, phototherapy, thermotherapy, hydrotherapy, kinesitherapy, massage, inhalations. PST "Stomil" organizes also rehabilitation and therapeutic stays, leisure and holidays for children and families. It is happy to host individual guests as well as organised groups. PST Stomil Sp. z o.o. The manufacturing of extruded articles designed for building construction joinery as well as finishing and packing of shelf-adhesive gaskets for customers from eastern markets. 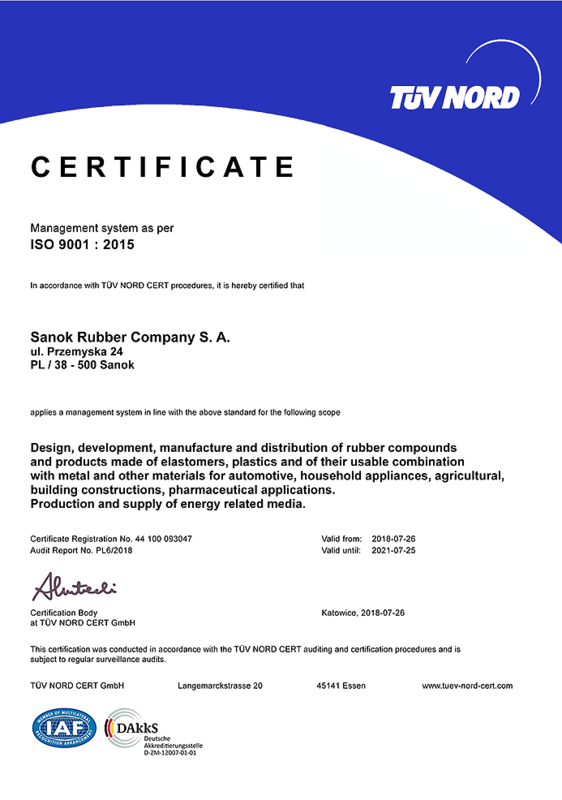 The main purpose and subject of activities is distribution on the Russian market of articles manufactured by Sanok Rubber Group, among others: V-belts, windows system sealing, profiles for aluminium windows. Production and distribution in the market of northern Russia. 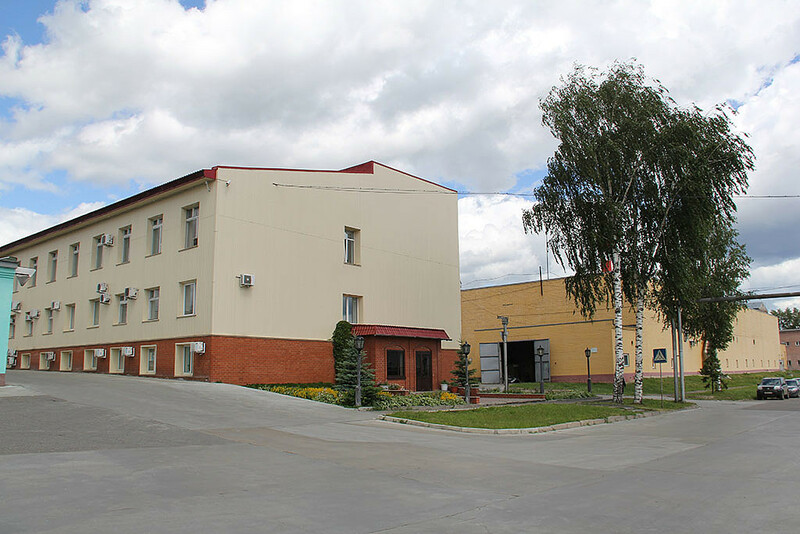 Current subject of activities of Sanok (Qingdao) Auto Parts Co., Ltd. includes imports, exports and sales of car parts. The company was established at the beginning of 2012, at the moment the company is carrying out marketing operations related to the future commercial activities. Production and sales to the Chinese market automotive sealing systems, car suspension parts, industrial gaskets and window systems. The core activities of the company include production and sales of automotive sealing systems for the premium car sector in the German market. The Company owns a 20% stake in the production company Qingdao Masters of Rubber & Plastic Co., Ltd. (QMRP), located in Jiaozhou City (China). Production and sales of automotive sealing systems (PVC, PVC+TPE and TPE), TPV/PVC sunroofs seals and EPDM rubber compounds. Sanok RC S.A. acquisition of QMRP Co., Ltd. located in Jiaozhou, China. 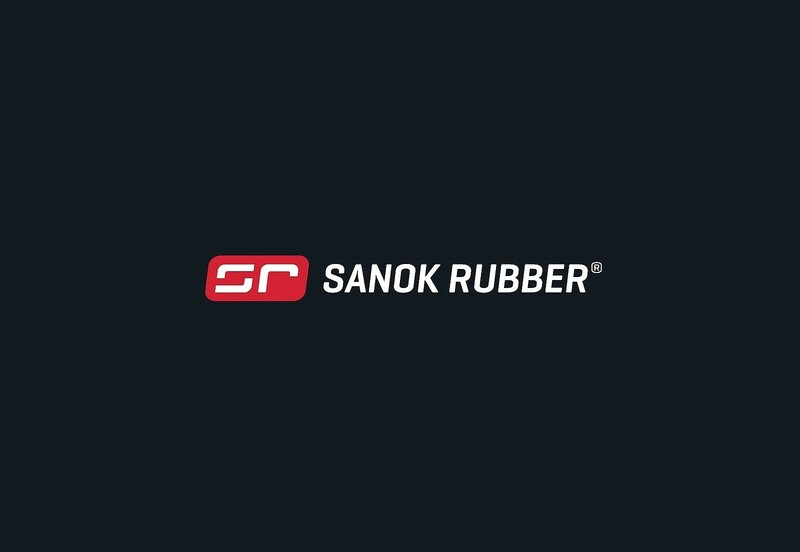 STOMIL SANOK S.A. changes its name to Sanok Rubber Company S.A. and defines a new strategic development direction. Draftex Automotive GmbH in Germany enters the STOMIL SANOK S.A. Capital Group; the company manufactures and sells premium-class car body gaskets on the German market. The company takes over Rubber & Plastic Systems S.A.S. in France and starts manufacturing car body gaskets made of plastic and rubber compounds. 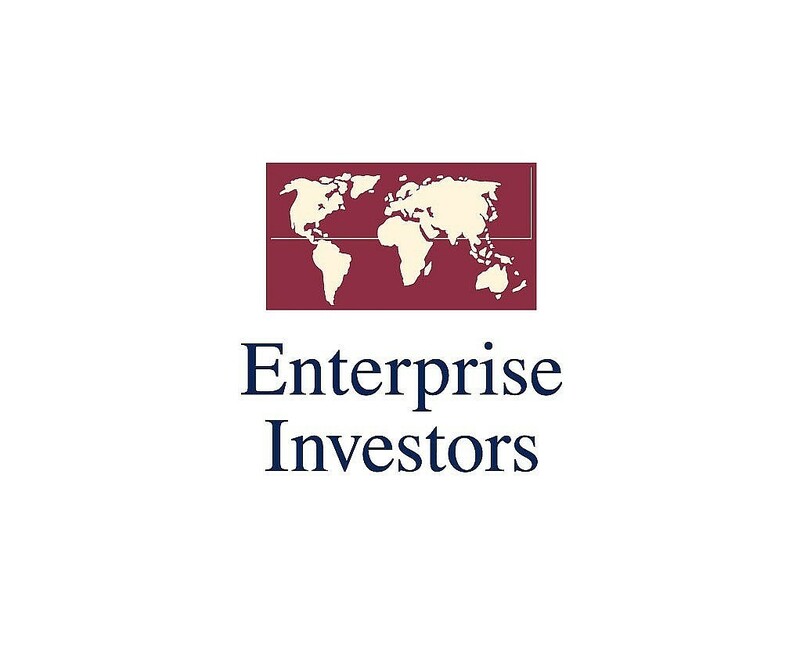 The company’s shares are bought out by Enterprise Investors. 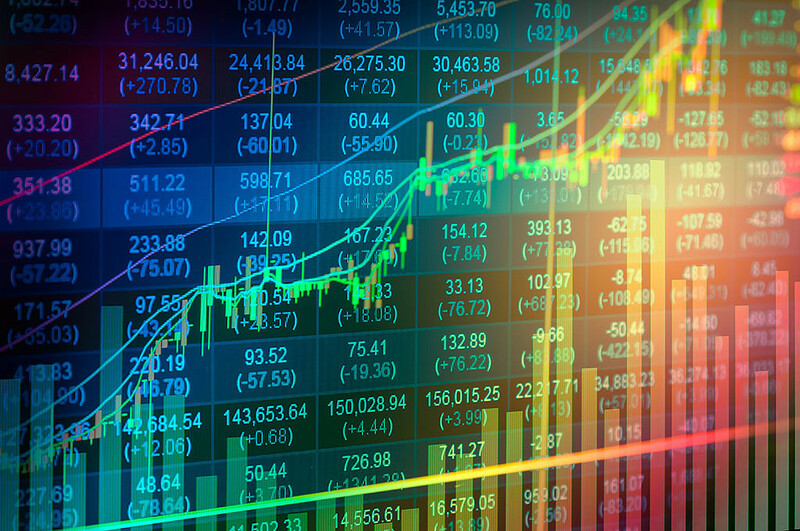 STOMIL SANOK S.A. is floated on the Warsaw Stock Exchange. The Ministry of Privatisation sells STOMIL SANOK S.A. shares to funds managed by Enterprise Investors. 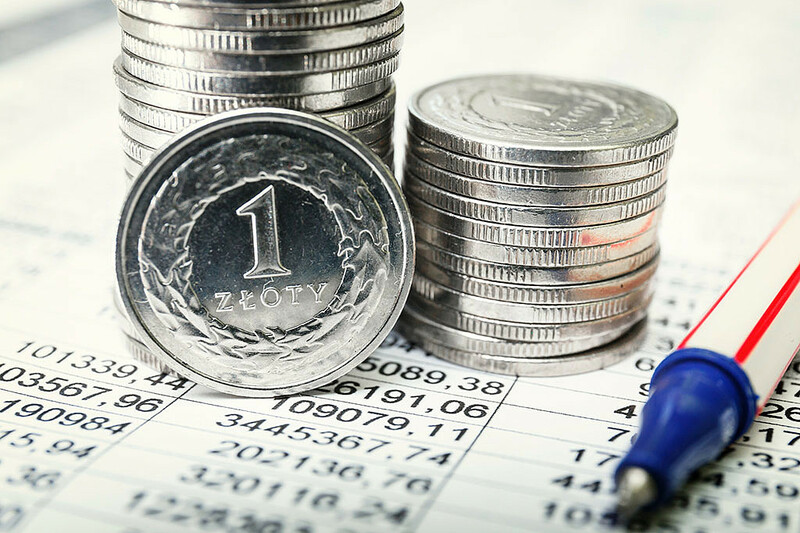 Development of investment projects in the East - establishing subsidiaries to deal with manufacturing and distributing products to the Russian market. The state-owned company is transformed into a company wholly owned by the State Treasury. The company successfully undergoes a restructuring programme. Commissioning of production lines for V-belts (Gates Rubber licence) and moulded products. 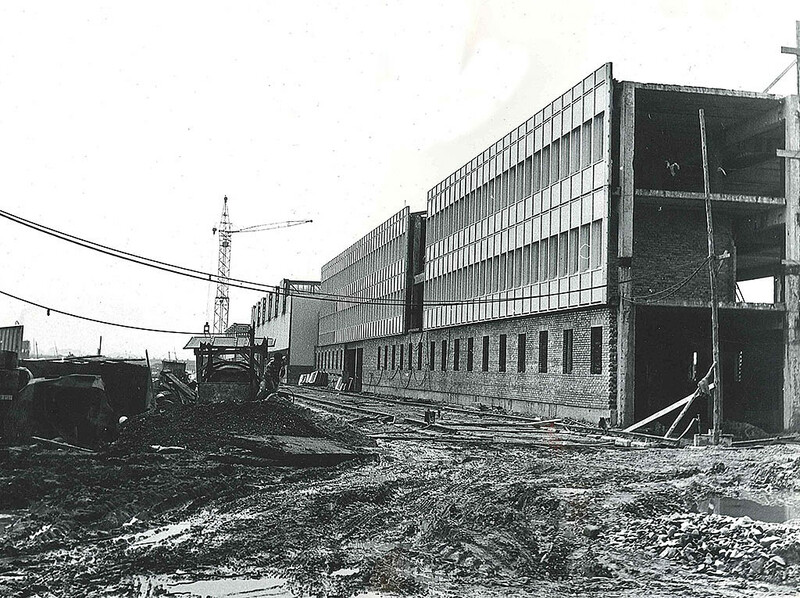 Construction of a new plant on the right bank of the San River (Olchowce district). The state takes over the company’s assets and begins its reactivation. 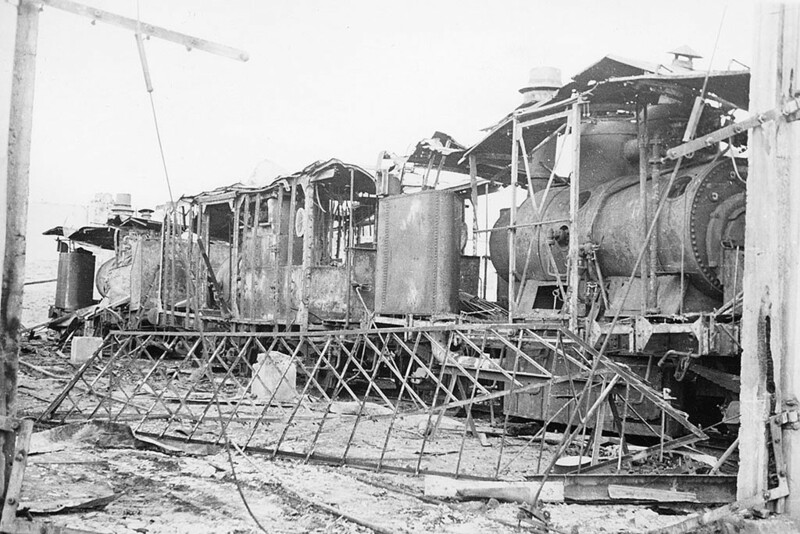 Vital factory equipment destroyed during a failed evacuation attempt. 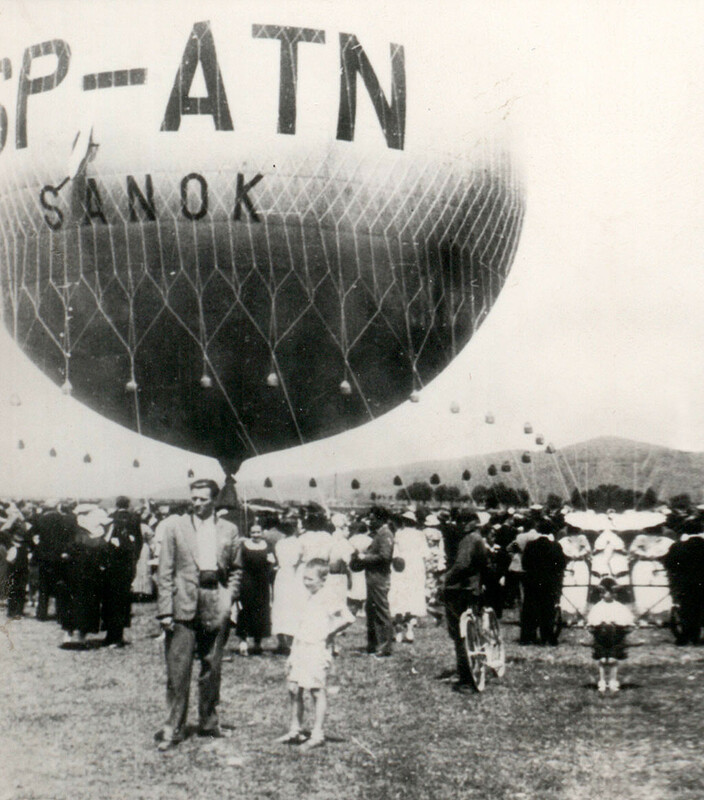 August Piccard, a famous stratosphere researcher, visits Sanok, raising interest in ballooning and establishing the “Guma” Ballooning Club. 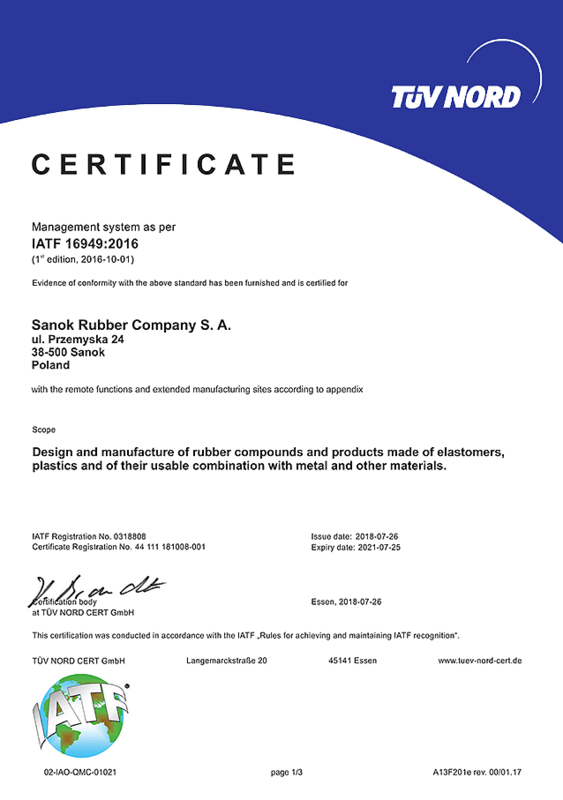 Dr Oskar Schmidt establishes a rubber product factory related to manufacturing bicycle inner tubes, bicycle saddle pads, transport belts, fire-fighting hoses and balloon canvas. 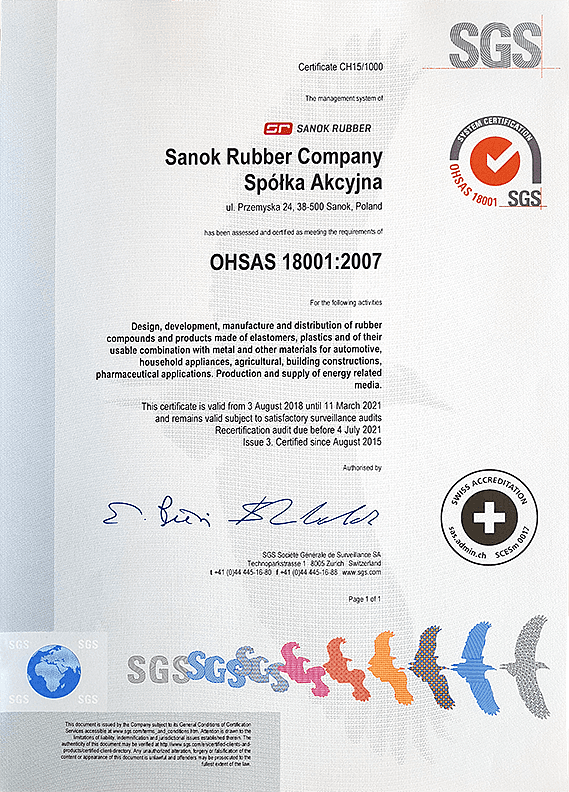 At Sanok Rubber Company S.A. we care about quality control, environmental management and OHS. Have a look at our certificates. We build our values through active participation in the lives of the local communities. In our opinion, social responsibility not only involves meeting certain formal and legal requirements, it also includes a conscious mission to work for the benefit of the surroundings in which our company operates. We get involved in the cultural and social lives of various regions by supporting local projects, foundations, public benefit organizations, especially as regards cultural life, health protection, assistance for the disabled and the impoverished and support for sports initiatives. International Piano Forum "Bieszczady without boundaries"
"Quality is confirmed when the client and not the product returns"
The overriding objective of SANOK RC S.A. is to meet the clients’ requirements and expectations by providing a high-quality service and employing cutting-edge material and acquiring technical solutions. This objective is achieved by manufacturing top quality products, ensuring process-related management for our organisation, as well as continuously developing and improving our company. 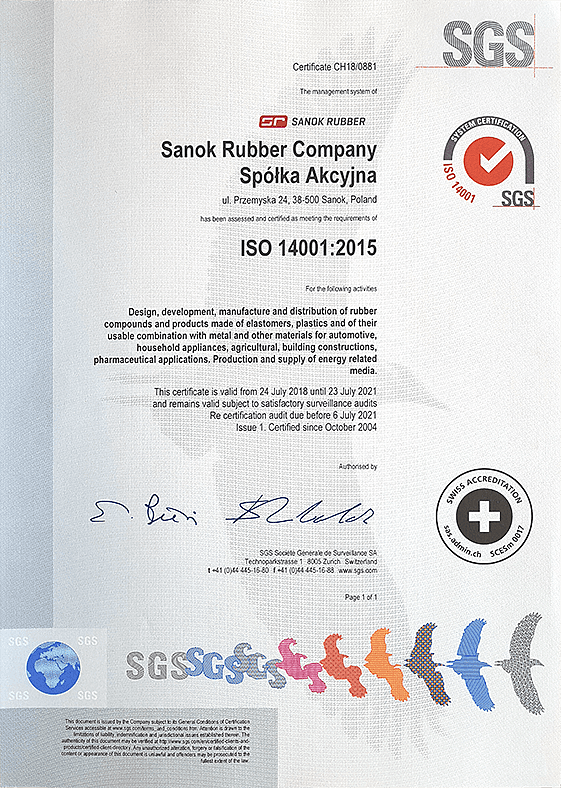 The quality policy of SANOK RC S.A. comprises delivering products which meet our clients’ requirements and expectations, yet remaining price conscious in a highly competitive environment. In order to protect the environment, we take specific steps which contribute to sustainable development. Typical examples of our eco-friendly activities include systematic improvement of processes in order to reduce pollution, as well as limit the use of process utilities, energy and raw materials. "Creation by SANOK RUBBER COMPANY S.A. of the Research and Development Center for development of innovative products intended for the production sector of transport means " - co-financed by the European Regional Development Fund, under the Smart Growth Operational Program, Priority axis 2, Support for the environment and the potential of enterprise to conduct R & D & I activity, Measure 2.1 Support for investment in enterprise R&D infrastructure. The Project aims to create by SANOK RUBBER COMPANY S.A. of the Research and Development Center, in which the innovative products intended for the production sector of transport means will be developed. 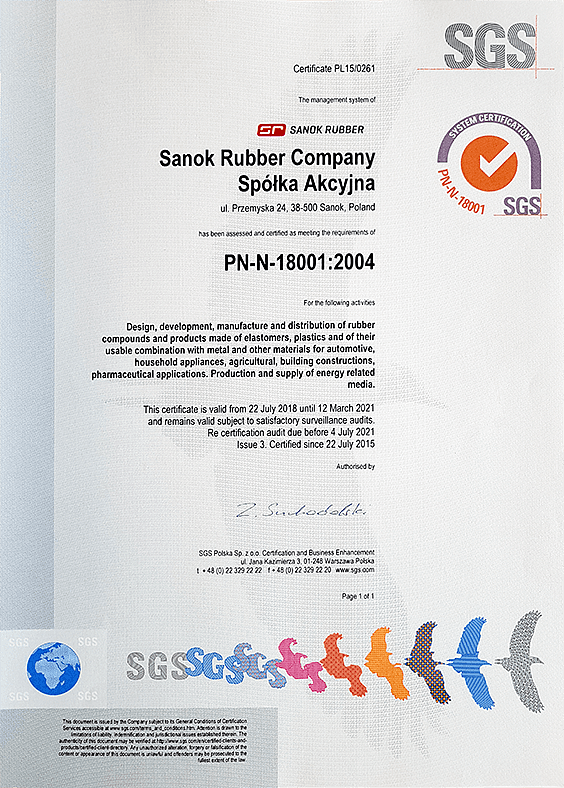 The effect of the project implementation will be the launch by Sanok Rubber Company SA of the product innovations developed at the Research and Development Center.